Criminal Minds Fanatic's Favorite Things: CRIMINAL MINDS OVERNIGHT RATINGS FOR "HOUSE ON FIRE"
CRIMINAL MINDS OVERNIGHT RATINGS FOR "HOUSE ON FIRE"
At 9, "Criminal Minds" ran second to "Idol" and pulled 14 million to CBS. ABC's "Lost" was the destination for 8.8 million. CRIMINAL MINDS: A. J. COOK KEEPS FIT. CRIMINAL MINDS REBROADCAST OF "MASTERPIECE"
CRIMINAL MINDS SCREENCAPS FOR "HOUSE ON FIRE"
CRIMINAL MINDS SPOILER THREAD FOR "HOUSE ON FIRE"
CRIMINAL MINDS QUOTES FOR "HOUSE ON FIRE"
CRIMINAL MINDS: WE'RE PLANNING A PARTY!! CRIMINAL MINDS: ON THE SET OF "OMNIVORE"
CRIMINAL MINDS SCREENCAPS FOR "OMNIVORE"
CRIMINAL MINDS QUOTE INFO FOR "OMNIVORE"
CRIMINAL MINDS FAN CHAT ROOM CLOSED TODAY. 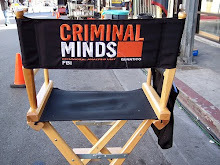 CRIMINAL MINDS: HAPPY BIRTHDAY LAURA! CRIMINAL MINDS: JACKSON RATHBONE IN "CONFLICTED"
CRIMINAL MINDS PROMO FOR "OMNIVORE"
CRIMINAL MINDS SCREENCAPS FOR "DEMONOLOGY"
CRIMINAL MINDS: EDITOR JIMMY HILL & "OMNIVORE"
CRIMINAL MINDS QUOTE & SONG INFO FOR "DEMONOLOGY"
CRIMINAL MINDS: PAGET TALKS ABOUT "DEMONOLOGY"
CRIMINAL MINDS FANATICS ROAMING THE SET.